If you’re planning your first getaway as a married couple, look no further than Belize. A tropical paradise mere hours from the US, it’s a honeymoon destination like no other. This former British colony combines a wealth of cultural traditions with breath-taking natural beauty. Pristine white beaches become home to local celebrations and festivities. The untouched jungle rings with the sound of toucans and howler monkeys. And ancient Mayan ruins await your explorations at every turn. Whether your idea of the perfect honeymoon is lounging by the clear blue sea, zip lining over a jungle canopy or enlivening your taste buds on freshly caught seafood and cocktails infused with Carribean flavors, Belize has you covered. Plus it’s English speaking, with currency pegged to the US dollar. Here are just a few options to add to your Belize honeymoon itinerary. Belize is about the size of Massachusetts, so depending on how busy you like to stay, you’ll be able to see plenty during your trip. Hire a car and sightsee the stunningly varied cities the country has to offer. From Belize City on the shores of the Caribbean to Belmopan with its ancient ruins and caves to the activity hub of San Ignacio, there’s plenty to enjoy together. Expect to see the influences of Mayan, Mesoamerican, Caribbean and European culture all around – Belize offers an incredible fusion of different traditions. Sparkling blue waters, spectacular reefs and rainbow sea creatures all play their part in making Belize a romantic getaway for newlyweds. Belize’s famous Cayes are superb spots for snorkeling, diving, boating and swimming. Go diving at the secluded Glover Reef Atoll, famous for its coral reefs, take a trip to the Blue Hole limestone cavern immortalized by Jacques Costeau, or relax with a tropical drink on Caye Caulker. Adventure, sightseeing and nature all come together in Belize’s impossibly green rainforests, which cover half of this stunning paradise. Book a tour to spot howler monkeys, macaws and even rare leopards, try your hand at traditional cooking and medicine, or take a heart-pounding zip lining excursion across the looming trees. Mayan ruins, pristine waterfalls and tiny villages provide a romantic backdrop along the way. An action-packed honeymoon isn’t for everyone. Perhaps your idea of the perfect romantic retreat is lounging on the beach sipping a cocktail made with local tropical fruit. Belize offers plenty for those who take relaxing very seriously. Food, drink, sunshine and languid strolls along the water are all popular pastimes here. Anywhere you go, there’ll be Belikin beer, fresh lobster and ceviche and a perfect spot for soaking up the sun’s rays. For a true five-star experience, take your pick from one of Belize’s hundreds of luxury resorts and retreats, and make the most of your downtime. 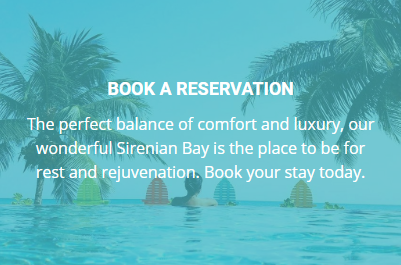 Sirenian Bay is a romantic luxury vacation destination a stone’s throw from the best Belize has to offer. If you’re choosing Belize for your honeymoon, get in touch. 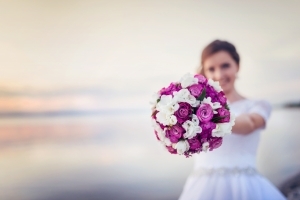 We’d love to host you!